Thompson Appalachian Hardwoods produces high-quality, kiln-dried hardwood lumber in a variety of species, thicknesses and grades. As an NHLA-certified manufacturer, we are committed to quality in the production of our lumber. 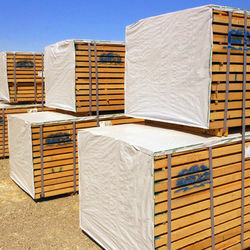 In addition to lumber, we export saw logs and veneer logs. From our manufacturing process, we also generate paper-quality woodchips, sawdust and residential bark mulch. Thompson Appalachian Hardwoods specializes in a variety of green and kiln dried Appalachian hardwood species, including Red Oak, White Oak, Poplar, Ash, Walnut, Cherry and Hard Maple. We also produce Cypress lumber. We offer plain sawn, quarter sawn, rift sawn and live sawn lumber, cut to customer specification. Our Green-on-Lathe lumber program offers our customers the flexibility to use the lumber at a variety of moisture contents. We provide green-on-lathe lumber in Red Oak, White Oak and Ash. Units are packaged according to export standards. If you are looking to purchase high-quality veneer and saw logs, Thompson Appalachian Hardwoods is your source for numerous Appalachian species. We have the capability to load logs into containers for exporting. We let nothing go to waste. Our production yields a number of by-products including paper-quality wood chips, biofuel sawdust and residential grade bark mulch. We have provided biofuels to surrounding businesses for years. If you are looking for a source for residential mulch, our ring-debarked mixed hardwood bark and Cypress bark is perfect for the job. Manufactured from the highest-quality hardwood and Cypress logs, we offer bulk shipments of all of these products on our company trucks.